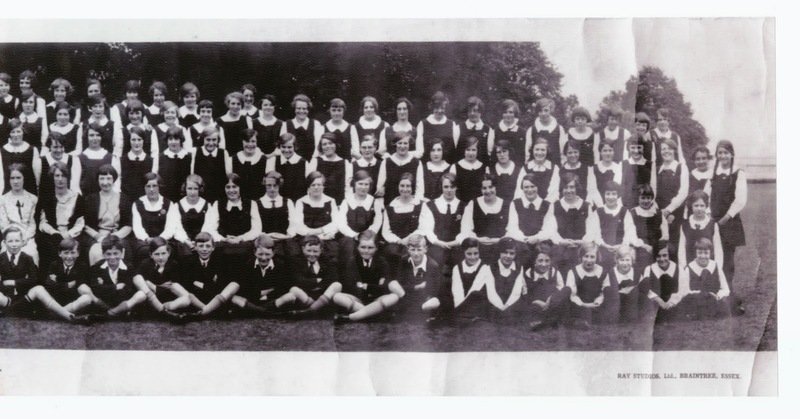 Here is another of those panoramic school photos from the now distant past. This one from 1929, courtesy of Ingrid Austin. I can identify some teachers here, but no-one else. The other interesting feature of this photo is that it is arranged with Moon street at the back and you can see the slight slope of the field from left to right. Having a bit of a clearout this morning. All in the same building at Moon Street until early 60s with the move to Aylesbury street site. I should add that typically all our work in those days was done on loose sheets and kept in file folders like these. The school photo was something of a perfomance to organize and a welcome intrusion into the school day. Chairs from classrooms and step-up benches from the gym would be hauled out and assembled on the playing fields. Once everyone had been placed the panoramic camera would whir through its clockwork motion until it had captured everyone. There were always apocryphal stories of someone at one end running round the back to appear for the second time in the same picture, but I doubt that anyone would have dared. This photo cost 1/6d in 1931. Readable versions of the photo are offered in sections below. 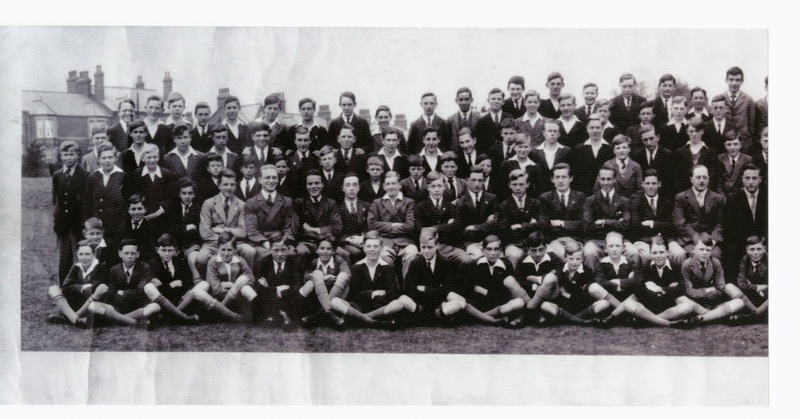 I can of course identify my mother and uncle in this picture, but pupils from the 40s and 50s should be able to identify – Robert Eyles (English), Reginald Long (Physics), James Thomas (French), Zillah Full (Girls Games). I think Miss Nurdin (Maths), who became Mrs Eyles, is in the picture, but I cannot identify her. It seems hard to imagine now but at the beginning of the 20th century Wolverton was the second largest population centre in Buckinghamshire – the largest being High Wycombe. 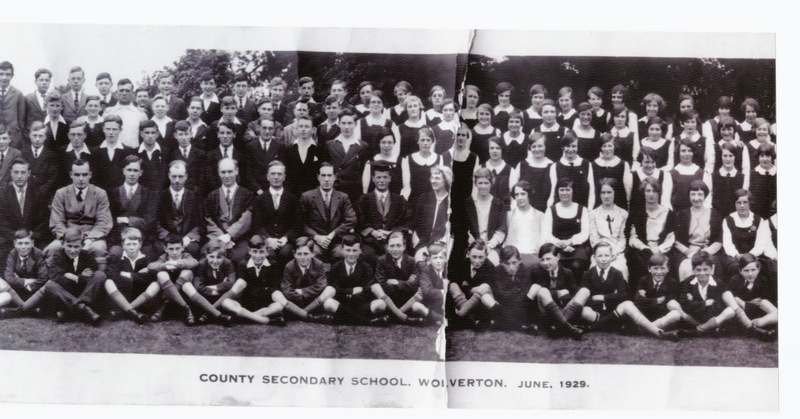 Wolverton then was an obvious place to start when the county tried to address secondary education. The school was established in January 1902 with 32 pupils at the Science and Art Institute. Two years later the County approved a grant of £2000 for a new school and with additional grants of £1750 the project was initiated and buildings were erected on a site at Three Bush Field at the south end of Moon Street. However, the final cost was £6000. The new school opened in September 1906 under the energetic headship of a man described by Sir Frank Markham as “the bristling E.J. Boyce”. The fees at the time were £6 a year. My mother recalled her parents paying fees of £3 6s. 8d. per term in 1930, or £10 a year. In addition pupils (really their parents) had to buy all their text books and exercise books. So it was a significant expense. There were scholarships and I understand that my Aunt went there on a scholarship in 1920. My father, who was not academically inclined, did not. My grandfather was then earning £250 per annum as a clerk in the railways works, so I imagine school fees placed a significant burden on family finances.